On Monday, June 9, 2014, the University of Toronto will bestow an honorary degree on Peter Stein, a formidable force in European theatre whose distinguished career as theatre, opera, and film director has spanned for close to half a century across the European continent, including his pivotal fifteen-year directorship at the Schaubühne Theatre in Berlin. 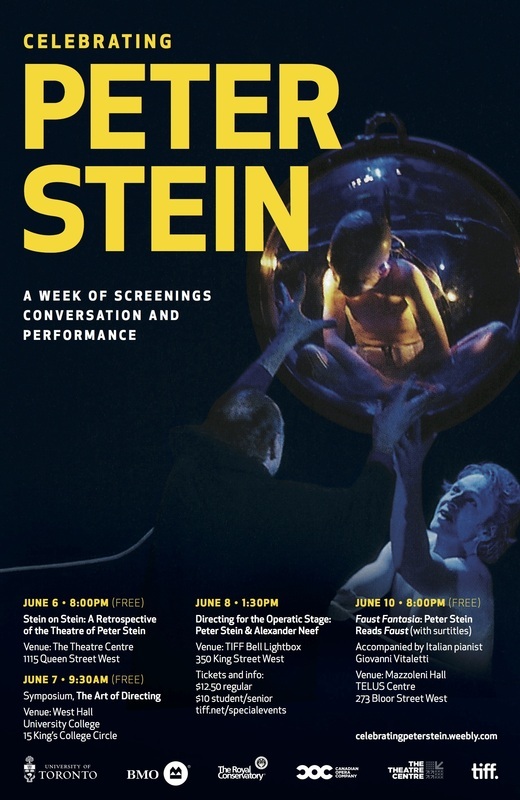 To honor his mission and life-long achievements, we would like to invite you to join us for the following events as part of Celebrating Peter Stein: A Week of Screenings, Conversation, and Performance. To RSVP to any of the events, please click the RSVP tab above. You can find us on Facebook by searching "Celebrating Peter Stein" or by clicking here.